Until three months ago, everything about sixteen-year-old Camelia’s life had been fairly ordinary: decent grades; an okay relationship with her parents; and a pretty cool part-time job at an art studio downtown. 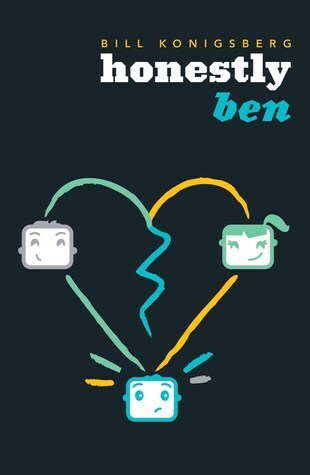 But when Ben, the mysterious new guy, starts junior year at her high school, Camelia’s life becomes far from ordinary. Rumored to be somehow responsible for his ex-girlfriend’s accidental death, Ben is immediately ostracized by everyone on campus. Except for Camelia. She’s reluctant to believe he’s trouble, even when her friends try to convince her otherwise. Instead she’s inexplicably drawn to Ben…and to his touch. 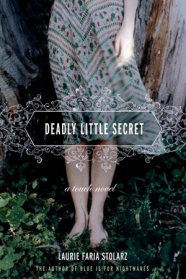 But soon, Camelia is receiving eerie phone calls and strange packages with threatening notes. Ben insists she is in danger, and that he can help – but can he be trusted? She knows he’s hiding something…but he’s not the only one with a secret. This one looks like a paranormal, but it’s not really. There are vague inklings towards it, but the book predominantly focuses on the high school drama Camelia is subjected to after a boy accused of murder enrols at her school. It has a vibe similar to those of Hush, Hush and Fallen, minus all the angel stuff. There’s even the whole ‘awkward lab partners’ thing going on. While I don’t see this book being everyone’s cup of tea, I did find myself getting wrapped up in the crazy stalker plot as well as the outsider romance that took forever to come to fruition. I liked that Camelia’s friends, Kimmie and Wes, were given more than a passing glance and actually had a bit of a backstory. While Kimmie does have some annoying qualities she was actually a very attentive friend whose actions showed she was looking out of Camelia’s wellbeing. Wes was harder to figure out, but I enjoyed his dynamic with the girls, unafraid of offering either girl a snarky quip when necessary. The fact that the parents weren’t dead was a plus, but they were still fairly distant, leaving Camelia to her own devices, even when she actually could have used some help. With four or five boys in her life, the author takes just about every opportunity to insert multiple guys into the scenes to keep you guessing as to who the stalker might be. It was an interesting source of tension. There were definitely a lot of creepy moments, especially since Camelia was spending most of her time with one of the suspects—much to her friends’ disapproval. The inclusion of small chapters from the stalker’s POV was actually one of the highlights of the book for me. I really enjoyed seeing just how the guy rationalised things. His ideals of love were very twisted. The treatment of Ben was disconcerting, particularly the lack of a response on the teachers’ parts, unless it was to chastise him further. It was basically one person being bullied by the whole school, and to an extent, the community. It reminded me of Toby’s predicament in Pretty Little Liars. Personally, I thought that if the students really believed Ben to be the murderer he was rumoured to be, they should be keeping clear of him, not trying to antagonise him. It would just be begging for him to snap. I liked that Camelia’s initial attraction to Ben was on something more than his looks, and that she persisted trying to get to know him despite the icy reception he met her with. His own history, full of fears and issues, took time to unravel. Riding a motorcycle, appearing at any given moment, and disappearing just as quick, he was quite a mystery. It was enjoyable to see a relationship where the guy’s feelings weren’t set in stone, that he was just as confused as the girl, and probably somewhat more. Knowing there are at least four more books in the series, it looks like it’s going to be a bumpy ride. Fans of the mystery of Pretty Little Liars and the high school vibe of the Hush, Hush series might like this. Great review. I absolutely love this series! I do admit, the second and third book were a little disappointing in certain parts (with some angst involved), but the fourth book rocks. Sad to see this series end since the last book comes out this year.